Everyone seems to know of at least one haunted house; as kids there was almost certainly one in our own neighborhood. Old places generally accumulate their share of ghost tales . This list are the places, through years of experiences and unnerving reputation, that are considered the most haunted places in the world. Many people were imprisoned and executed in the castle, and it is supposedly haunted by several specter. The most terrifying of these beings is thought to have been summoned by Mildred Darby’s occult activities. “It”, the name given to the creature, is a small grey humanoid, about the size of a sheep, with a decaying face. The apparition is said to be accompanied by the stench of a decomposing corpse and the smell of sulfur. This particular spirit is called an Elemental. They are often malevolent, terrifying, and unpredictable. “It” appears to keep itself relatively hidden in comparison with the other spirits at Leap Castle. On occasion visitors will see the creature, and in few incidences be attacked. 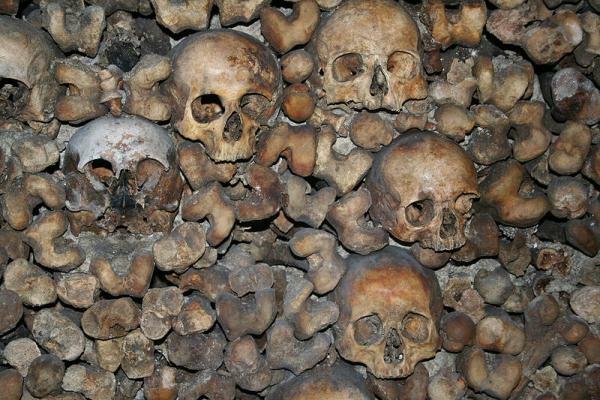 The Catacombs of Paris are a maze of tunnels and crypts underneath the city streets where Parisians placed the bones of their dead for almost 30 years. Prior to the creation of the Catacombs in the mid-1700s, residents buried their dead in cemeteries, but as the city grew, they quickly ran out of space. The decision was made to use an underground section of quarries in Paris, and the bones from Paris’ city cemeteries were moved underground between 1786 and 1788. The process was conducted with reverence and discretion – the quarry space was blessed before any bones were moved there, bones were always moved in a quiet parade of carts accompanied by priests, and these movements always took place at night. The quarries continued to be used as the collection point for the bones from Paris’ cemeteries through 1814 and now contain the bodies of roughly 6-7 million Parisians. The underground cemetery became a tourist attraction on a small scale from the early 19th century, and has been open to the public on a regular basis from 1874. 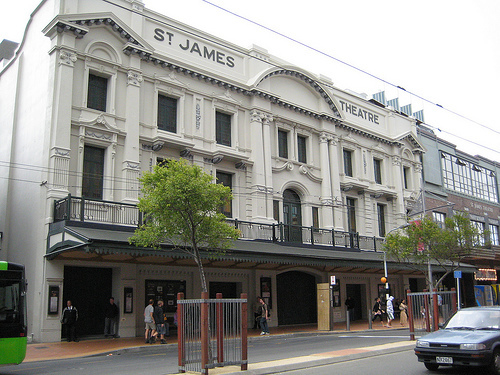 Following an incident of vandalism, they were closed to the public in September 2009 and reopened 19 December of the same year. Parisians today often refer to the entire tunnel network as “the catacombs”. People in India know all about ghosts. 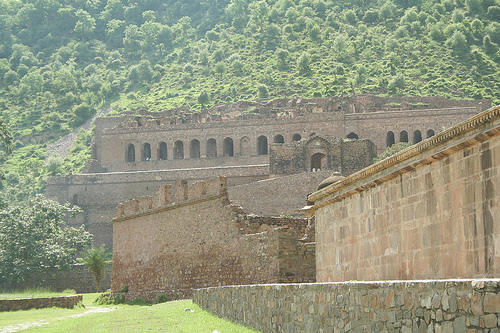 Locals give the Bhangarh fort, and the area around it, a wide berth, due to some popular spooky stories associated with the fort and town. Authorities have told visitors not to enter the ruined city after dusk. It is said that a wicked sorcerer cursed the city after being spurned by a princess. The 17th-century city was soon destroyed by an advancing army, leaving only its temples intact, and has been uninhabited ever since. Visitors say that birds and wildlife fall silent as the spirit of the sorcerer approaches at night, and nobody has ever tried to spend the night there. Just too spooky to take that chance. Whether or not you give credence to the idea of ghosts, it is difficult to deny that places like this have a certain ‘feel’ to them which makes you want to get out as soon as possible. Overactive imagination, or subconscious warning? You be the judge. 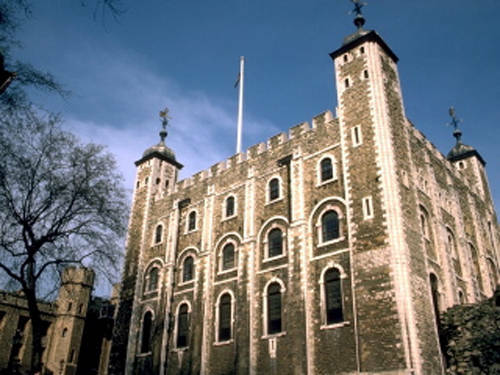 The Tower of London, one of the most famous and well-preserved historical buildings in the world, may also be one of the most haunted. This is due, no doubt, to the scores of executions, murders and tortures that have taken place within its walls over the last 1,000 years. Dozens upon dozens of ghost sightings have been reported in and around the Tower. One of the wives of Henry VIII, beheaded in the Tower in 1536. Her ghost has been seen on many occasions, sometimes carrying her head, on Tower Green and in the Tower Chapel Royal. Other ghosts include those of Henry VI, Thomas Becket and Sir Walter Raleigh. One of the most gruesome ghost stories describes the death of the Countess of Salisbury. According to one account, “the Countess was sentenced to death in 1541 following her alleged involvement in criminal activities — although it is now widely believed that she was probably innocent. After being sent struggling to the scaffold, she ran from the block and was pursued until she was hacked to death by the axe man.” Her execution ceremony has been seen re-enacted by spirits on Tower Green. 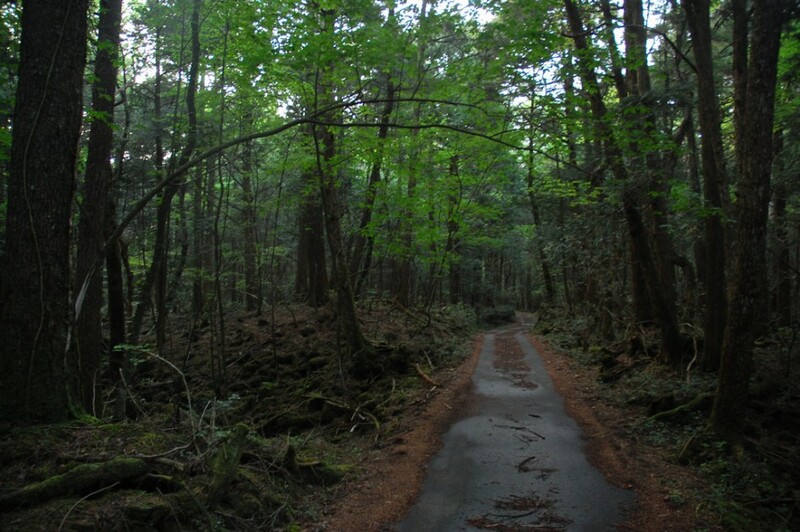 The dense Aokigahara forest was a popular suicide destination even before Wataru Tsurumi’s 1993 bestseller ‘The Complete Manual of Suicide’ listed it as an ideal place to die. Suicides here were so prevalent that in the 1970s annual sweeps were instituted by the government to remove the bodies — most of which were found in various stages of decay, hanging from trees in homemade nooses. With approximately 70-100 bodies recovered here each year, it is shockingly likely that the sounds of wailing heard through the trees might be from actual living people committing suicide, but many believe the forest is cursed by the tortured souls of those who died here. Castle dungeons, especially ones with a 900-year history, are expected to have seen some rough times. The Castle is reputed to be one of the most haunted spots in Scotland. And Edinburgh itself has been called the most haunted city in all of Europe. The dungeons at Edinburgh Castle held a wide variety of kooky personalities, including Lady Janet Douglas, an accused witch who was later burned at the stake, along with around 300 other women over the castle’s history, and Duke Alexander Stewart of Albany, who escaped by killing his guards and burning their bodies.On various occasions, visitors to the castle have reported a phantom piper, a headless drummer, the spirits of French prisoners from the Seven Years War, – and even the ghost of a dog wandering in the grounds’ dog cemetery. Many of us remember the superb horror film The Shining, based on the novel by Stephen King. 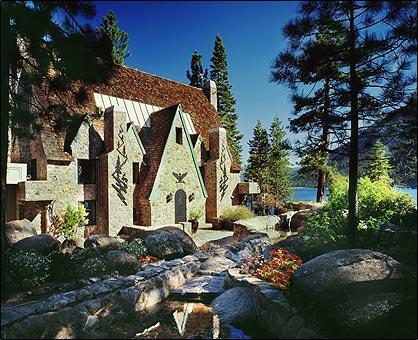 The book was inspired by a stay at the Stanley in Estes Park, Colorado. Assigned Room 217, King reportedly heard ghost children playing in the hallway. Many have experienced paranormal activity here, but these real-life ghosts seem harmless. Many spirits are said to haunt the place, while guests and employees claim to have heard faint music coming from the ballroom and seen the piano keys moving. Often, the sound of children playing in the halls of the Stanley can be heard, even when no children are present. Chillingham Castle in Northumberland is a hotbed of activity and has always gained a reputation for being very haunted. Many believe Chillingham Castle to be the most haunted location in the Great Britain. What also adds up to the appeal is the castles medieval architecture, the sheer beauty of this historical masterpiece and the more sinister side of the authentic torture chamber, complete with stretching rack and Iron Maiden. 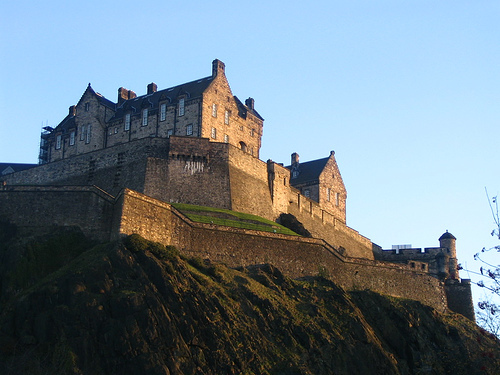 Not only the did the Castle provide shelter for the English soldiers, it was also used to imprison Scottish rebels. One priest called it, an embodiment of evil. 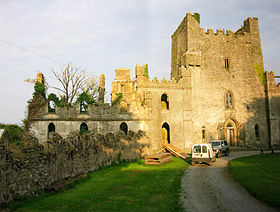 This Castle is of course a perfect location for overnight ghost hunting and weekend events. The Castle will be Open from Good Friday 29 March 2013 until 1 November 2013. Closed every Saturday Except Easter Saturday. 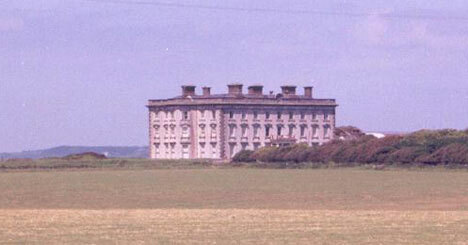 The current Loftus Hall is reopened to the general public for the first time in almost twenty years on Friday the thirteenth of July, 2012. The ‘House of Death’ is located at 14 West 10th Street, in Manhattan, New York. 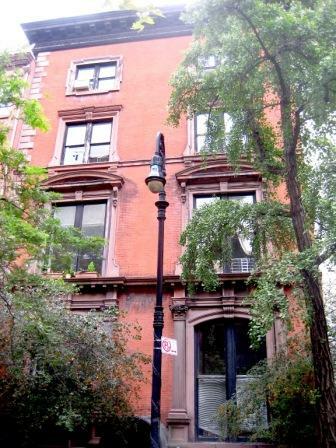 This simple brownstone is often considered the Most haunted place in Manhattan, as a variety of spirits have appeared in the building’s stairwells, apparently including that of a former inhabitant — Mark Twain! If you ever get a chance to stay in any of these places overnight, my advice would be — don’t.